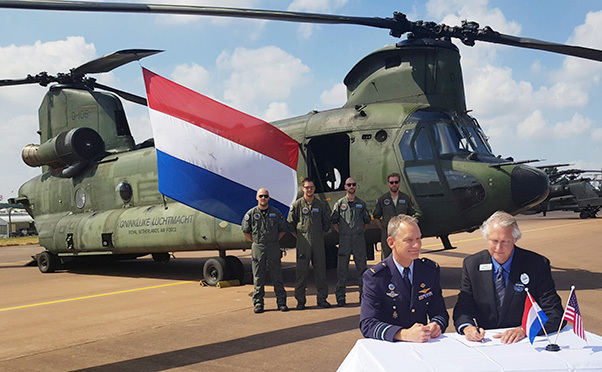 Boeing and the Royal Netherlands Air Force signed a Combined Helicopter Support services agreement at the Royal International Air Tattoo July 14 that will provide maintenance, services and spare parts to the RNLAF’s fleet of AH-64 Apache and CH-47 Chinook helicopters. 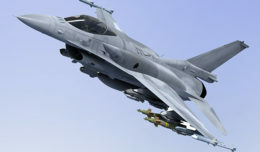 “The strategic cooperation between the Royal Netherlands Air Force and Boeing is very important and with the Combined Helicopter Support (COHESU) from Boeing we enter into a next phase. 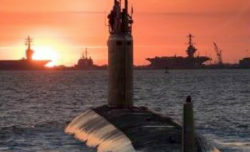 In this phase we need to stretch ourselves as a joint team to be innovative to meet the demanding requirements of adequate and affordable support for the transition into a fifth generation Royal Netherlands Air Force with current, upgraded and new Boeing helicopters being part of it,” said Luyt.